Family drama series are ruling the Indian television today, with Indian audience having an everlasting love for emotions, family values and togetherness. This is the reason why family drama shows on various channels reach the highest TRPs in India. “Shastri Sisters” is one of the best running family drama serials at present, which is a creation of the leading banner Shakuntalam Telefilms and is presented on Colors TV. It is the story of four sisters and their love towards each other. Another popular television family drama which runs on Zee TV is “Kumkum Bhagya”, a Balaji venture based on the famous Jane Austen novel, “Sense and Sensibility”. It stars Shabbir Ahluwalia and Sriti Jha in lead roles. A long running family drama series on Indian TV is “Yeh Rishta Kya Kehlata Hai”, the story of a young girl, Akshara, who fulfills all her responsibilities as a wife, mother, daughter and daughter in law. She is one of the favorite characters on television since past many years. Another popular Star Plus show to make it on this list is “Veera”, the story of the loving relationship of a brother, Ranvijay and his younger sister, Veera. The brother plays the part of a mother for the little sister, right from her childhood to her youth. 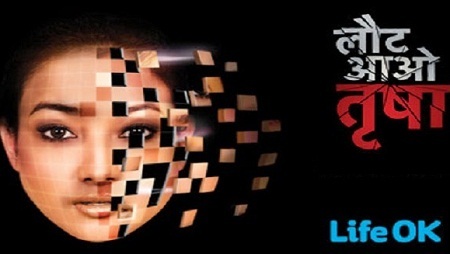 The Life OK serial “Laut Aao Trisha” has earned a great deal of fan following in the short period of time. The serial has a big star cast and a very different story line, which makes its X-factor. “Saath Nibhana Saathiya” is another acclaimed Star Plus family drama series, which is based on the story of a Gujarati joint family, the Modis. The family overcomes various problems and obstacles and stay together in a cohesive bond of unity. “Ajeeb Daastan Hai Yeh” is the latest family drama show on Indian television, which boasts of an impressive star cast including Bollywood actors Sonali Bendre and Apoorva Agnihotri. The serial is based on the story of a woman who is betrayed by her politician husband and she finds solace in the arms of her employer and best friend. Next among the best family drama serials in India in 2015 is the Balaji venture “Itna Karo Na Mujhe Pyar”, which is aired on Sony Channel. A story of a divorced couple and their children, the serial is carried on the shoulders of ace actor, Ronit Roy. Featuring next on the list of most popular family TV drama serials is “Diya Aur Baati Hum”, the story of an ambitious young woman called Sandhya, who wants to become an IPS officer but is married in a conservative family. The serial is about how she is able to achieve her goal with the love and support of her husband, Sooraj. One of the best family drama shows on Indian television in 2015 is “Yeh Hai Mohabbatein”, which is aired on Star Plus. It is the story of a couple, Raman and Ishita, who get together by circumstances, but form an amazing bond of love and togetherness. Karan Patel and Divyanka Tripathi play the lead roles in the show. Some other acclaimed family drama serials n Indian television at present are “Qubool Hai”, “Suhani Si Ek Ladki”, “Udaan”, “Doli Armano Ki” and “Humsafars”.